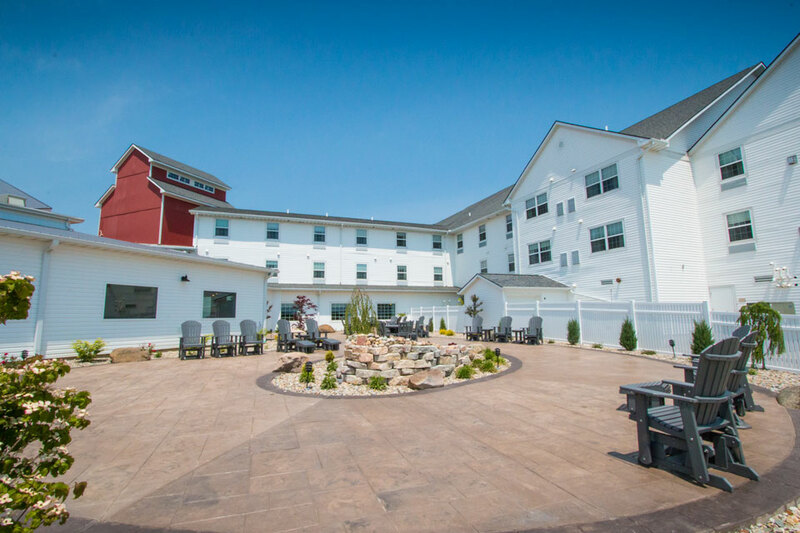 From an expansive breakfast buffet to a new pool and hot tub, the Garden Inn has everything to make you feel at home here in Amish Country. 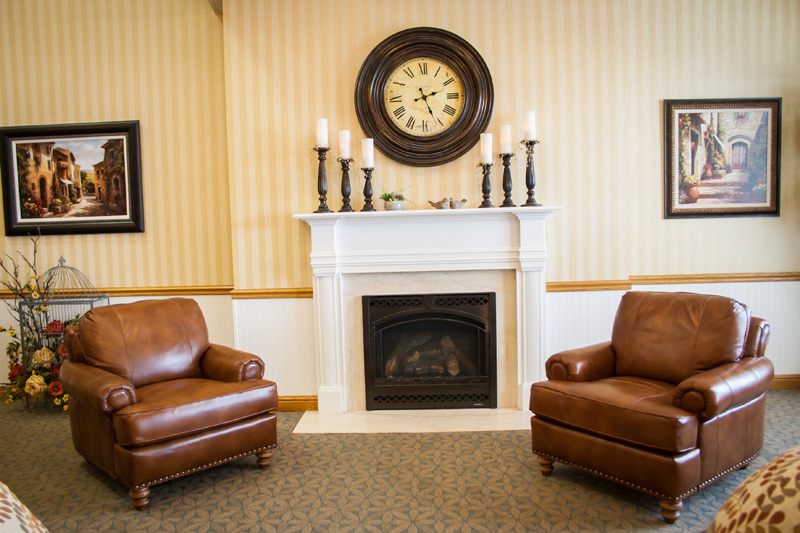 Rooms are available for groups and families of all sizes. 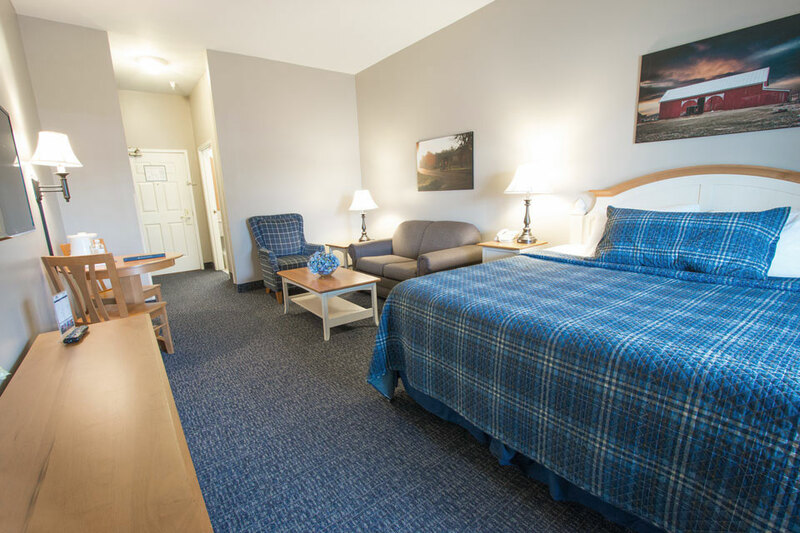 All rooms come with Television(s), Coffee Maker, Microwave, Refrigerator, Iron/Ironing Board, Hairdryer, Full Length Mirrors, and Free Wireless Internet. 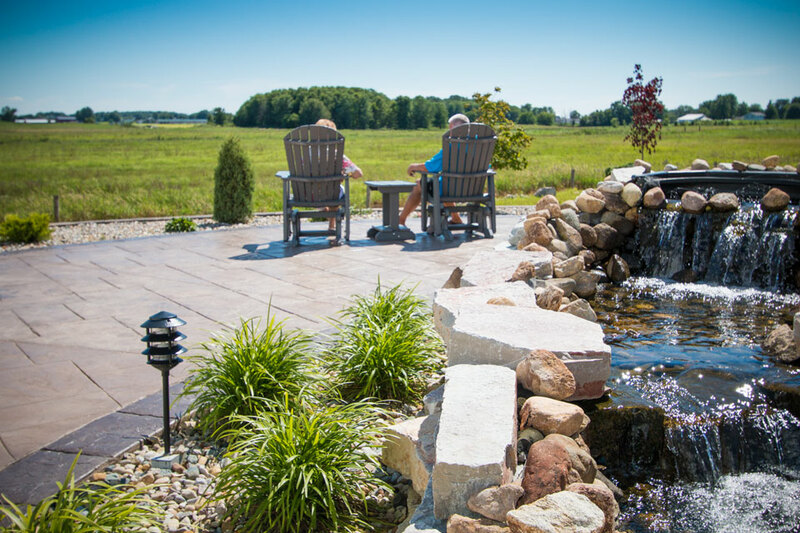 The beautiful 22 x 55 pool, large hot tub, and "living room" is newly added to the Garden Inn. 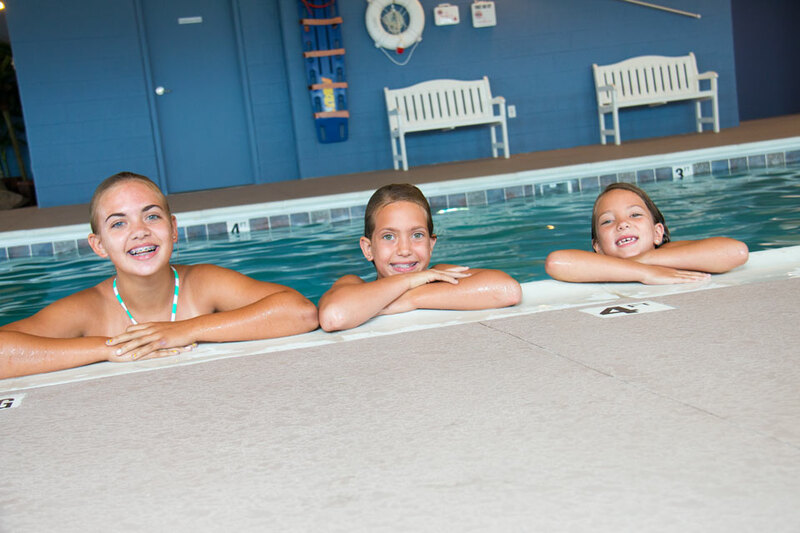 Enjoy some family time at the pool or relax in the hot tub while you stay with us. 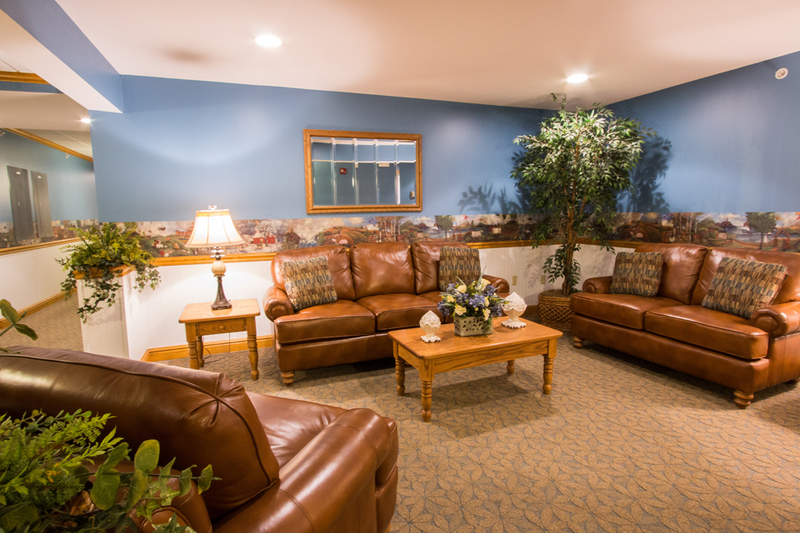 This area is designed to make getting together easy and fun. 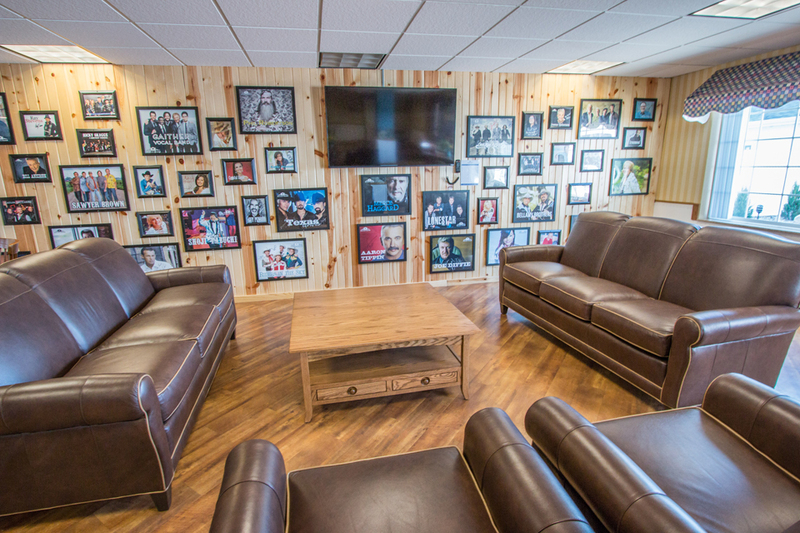 Large groups can add access to our private meeting rooms and more if you need the space. 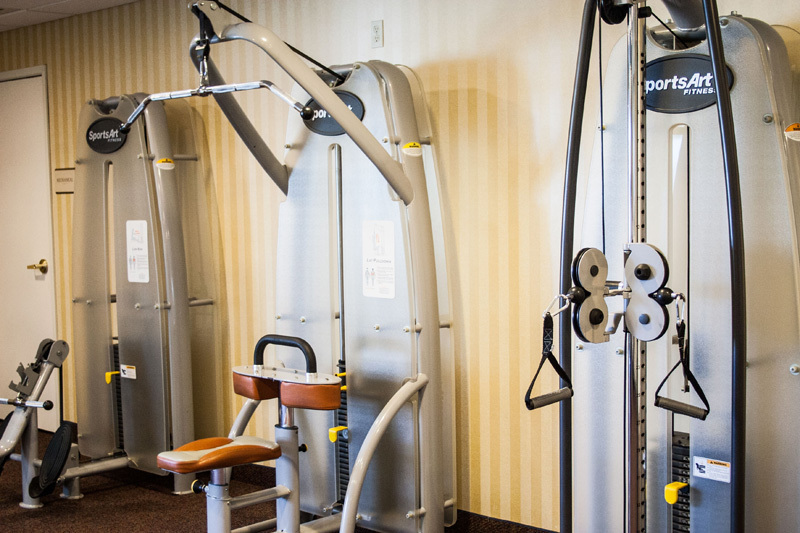 Our Fitness Center is accessible 24 hours and is equipped with a wide variety of fitness equipment for those who like to stay active away from home. 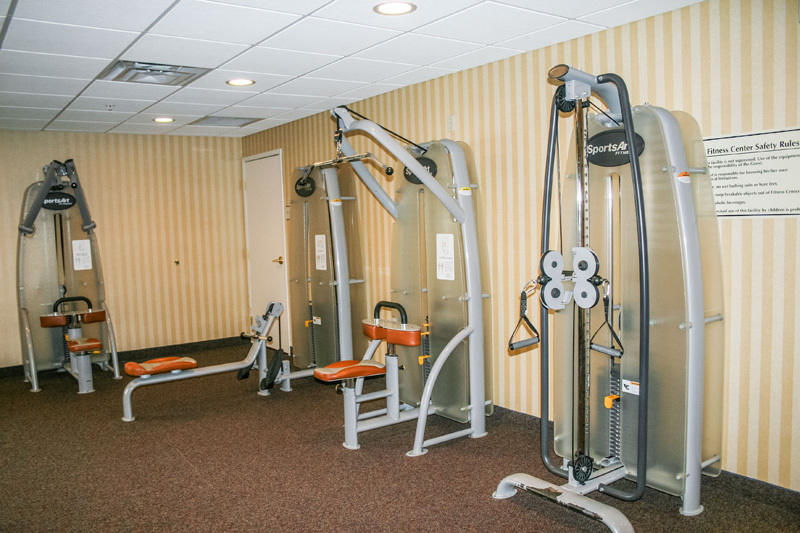 Equipment includes treadmills, stationary bicycles, ellipticals, row machine, lat pull, independent lat pull, and ajustable independant strength stations. Looking for a sweet treat or late night snack? 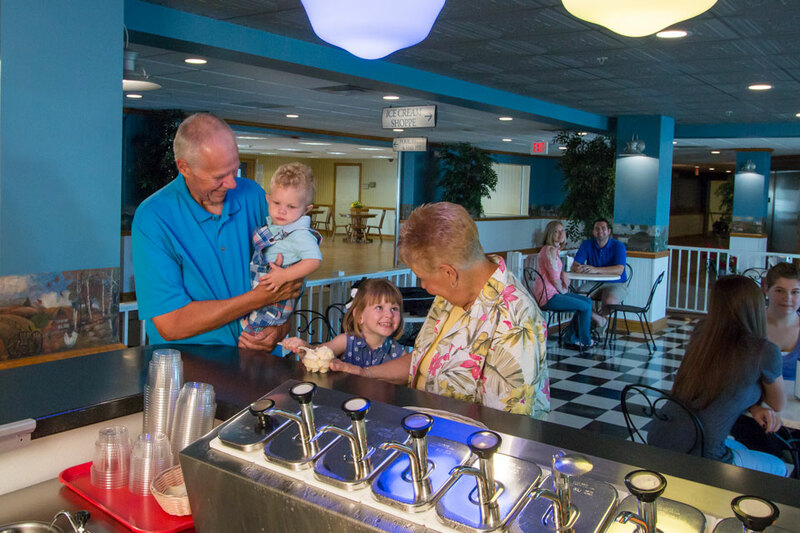 Visit the Creamery off of the lobby, serving delicious Hudsonville Ice Cream. 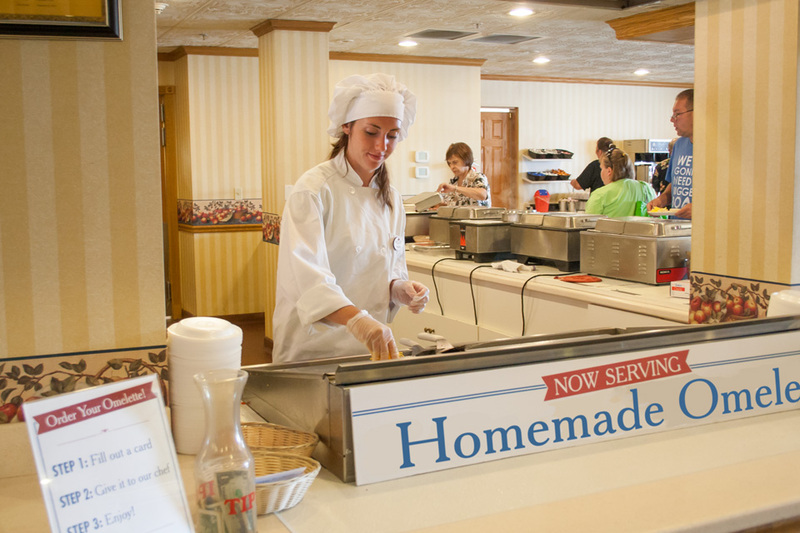 A variety of flavors and toppings are available. 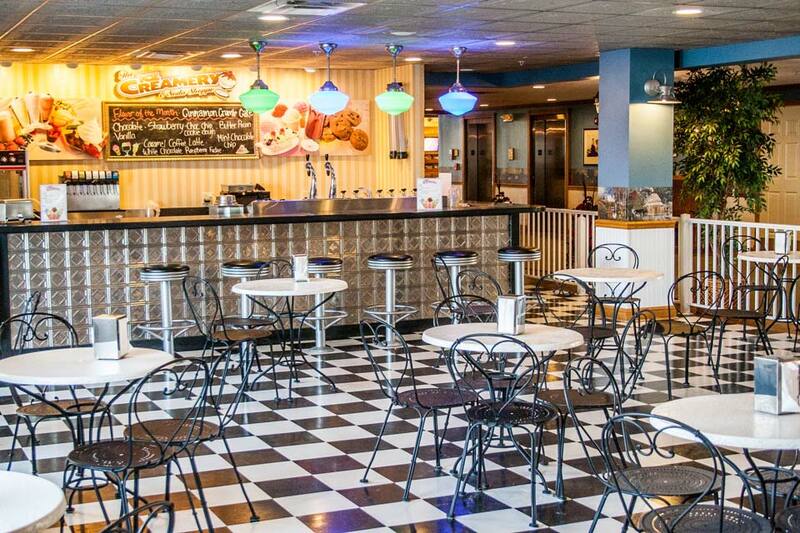 The old-fashioned look and feel of the creamery, makes for a special experience. 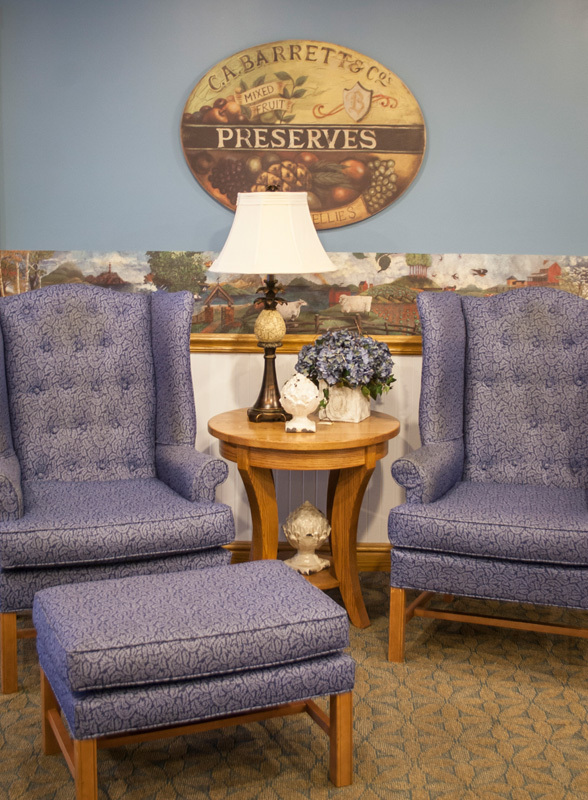 Plenty of seating in the Creamery or in the "Living Room" area close by makes it an ideal place to get together with family and friends. 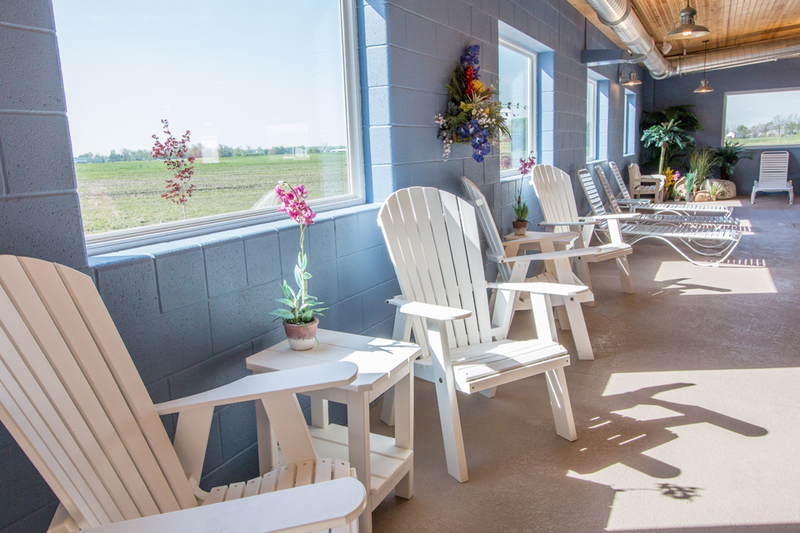 Sun-Wed: Closed, Thu-Sat 5pm-10pm. 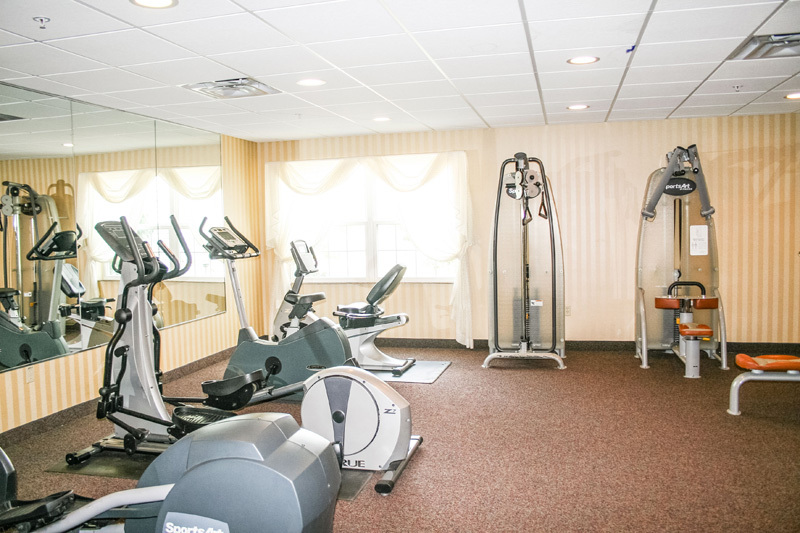 A full hot breakfast, including homemade omelets, is included in your stay with us! 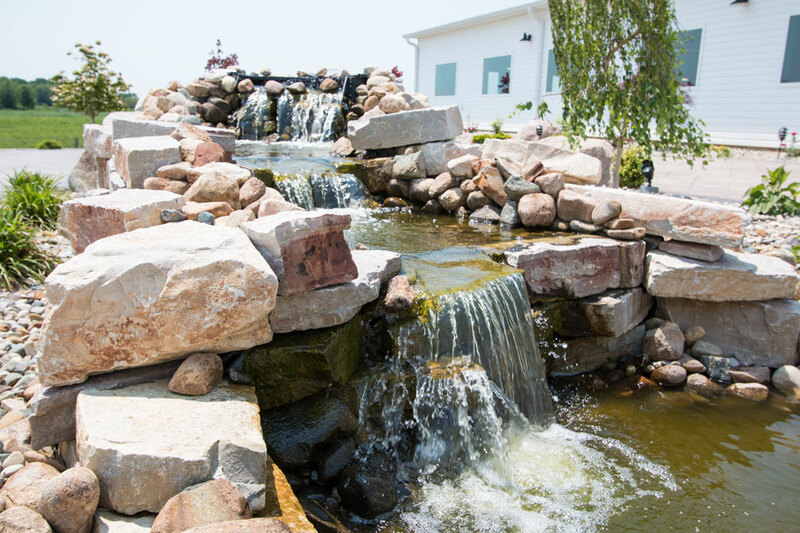 Get a taste of the wonderful food that made us famous. 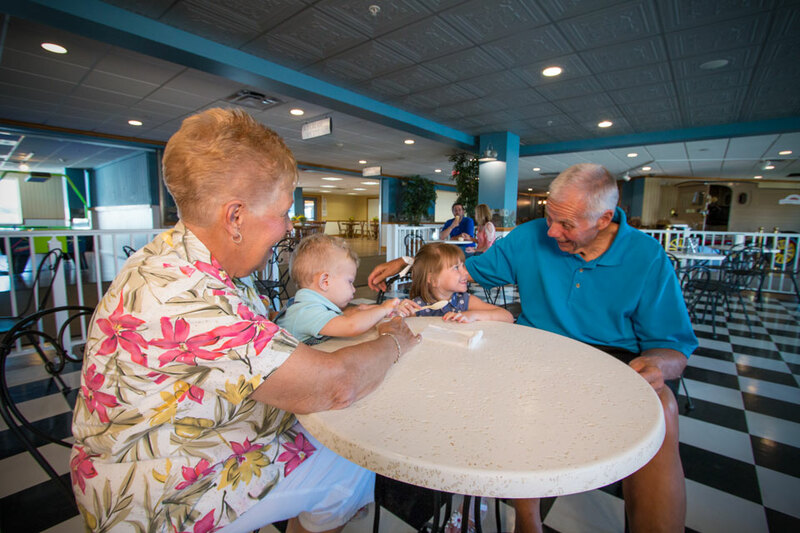 Just some of the many offerings include scrambled eggs, sausage, oatmeal, baked oatmeal, pastries, waffle bar, fruit, and a variety of juices and beverages. 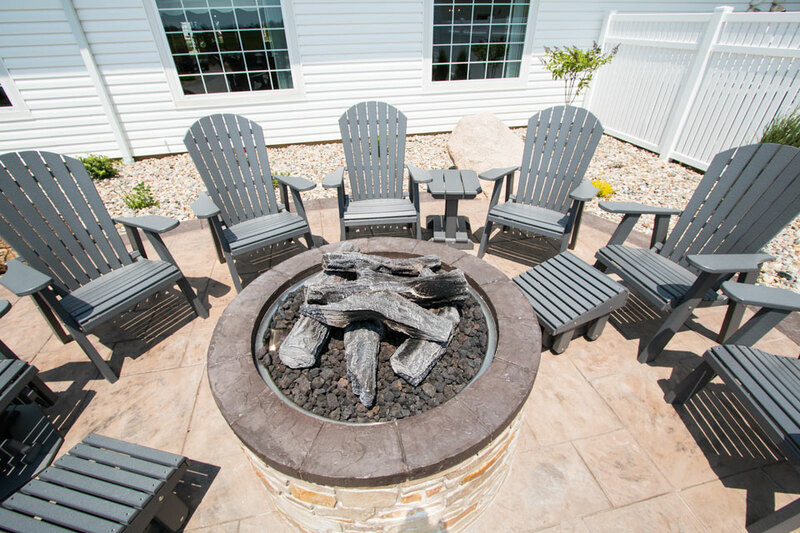 The Blue Gate Garden Inn now offers a beautiful large patio that you can enjoy. 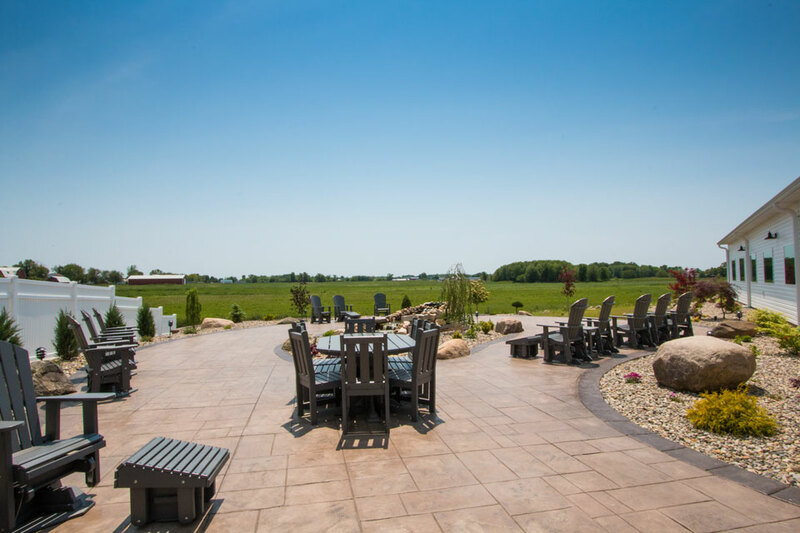 The outdoor facility allows guests to enjoy the beautiful Indiana weather and offers a relaxing view of the surrounding countryside. 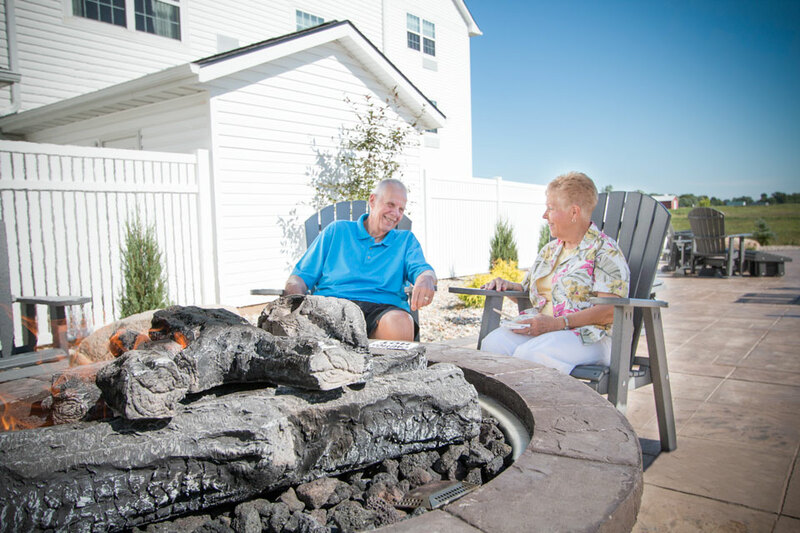 Also, the new firepit is a great place to sit around and spend an evening talking with friends and other guests. Open pool hours. 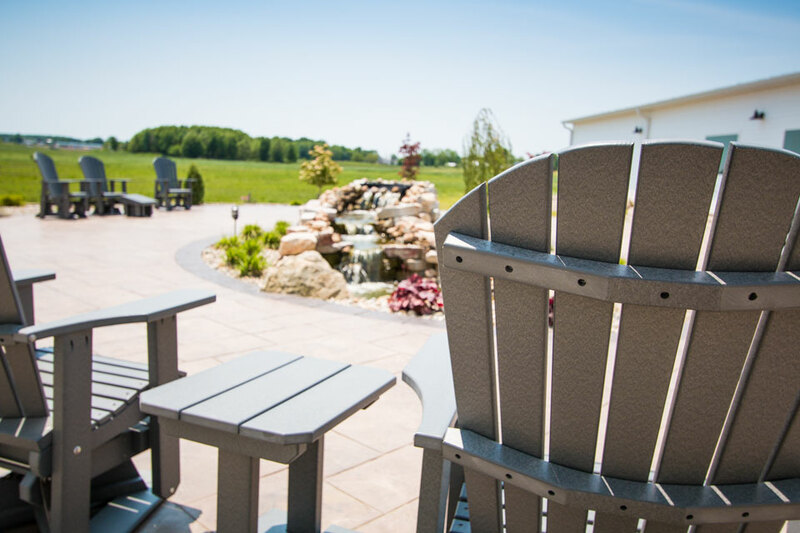 The Blue Gate Garden Inn was created to cater to families and groups coming to Shipshewana to spend time together. 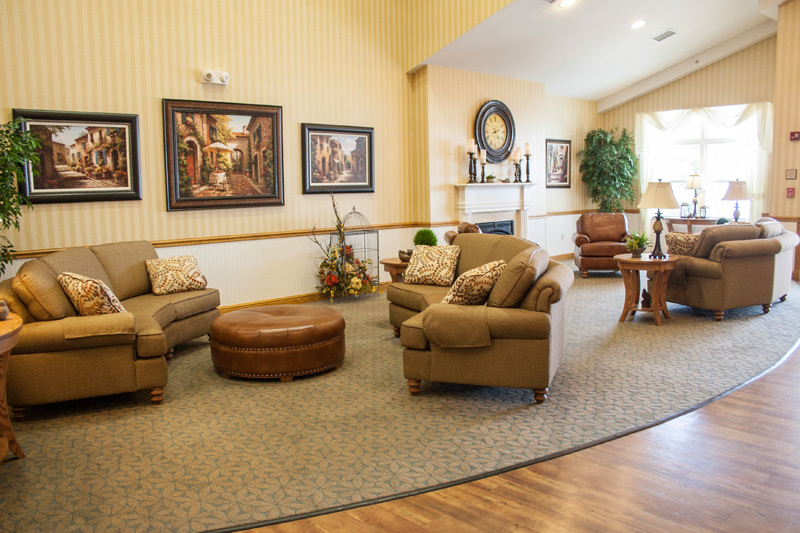 To make that gathering time easier and fun, we have lots of gathering spaces with places to sit, play and just BE together. 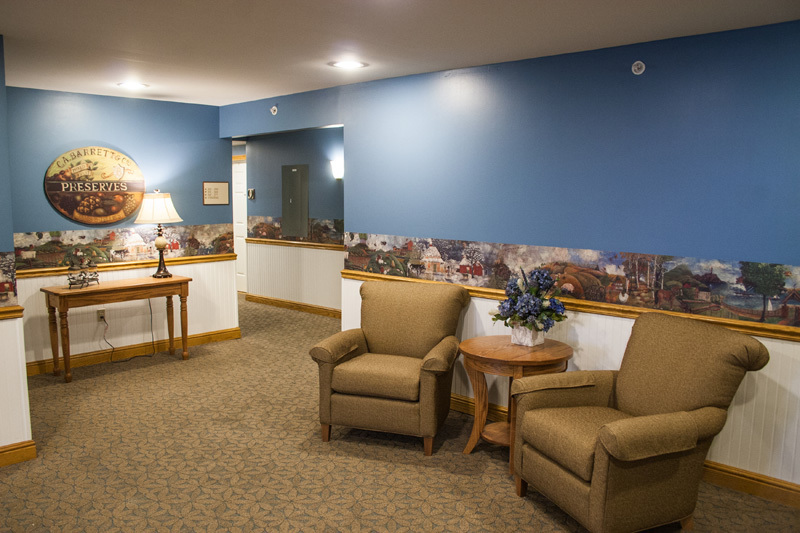 In addition to the large patio and main lobby areas, there are several small gathering spaces on every floor and adjacent to the other amenities your group may be using. 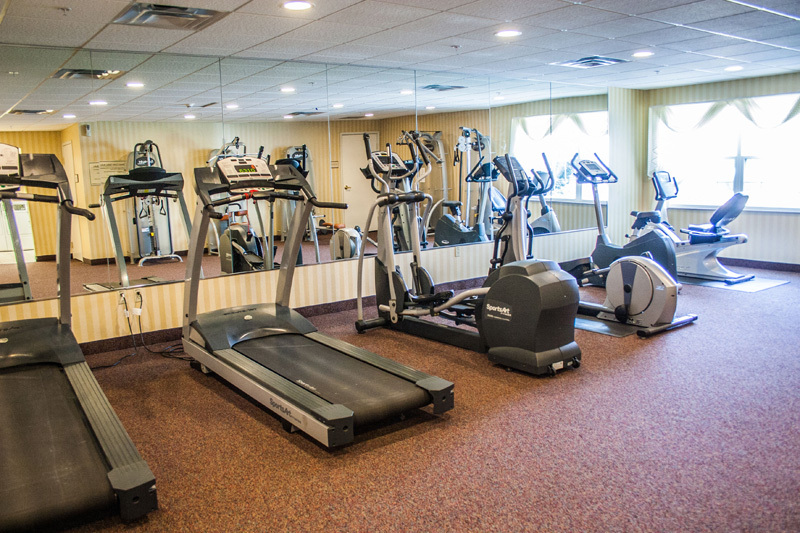 We hope these features will help make your stay just a little bit more enjoyable. 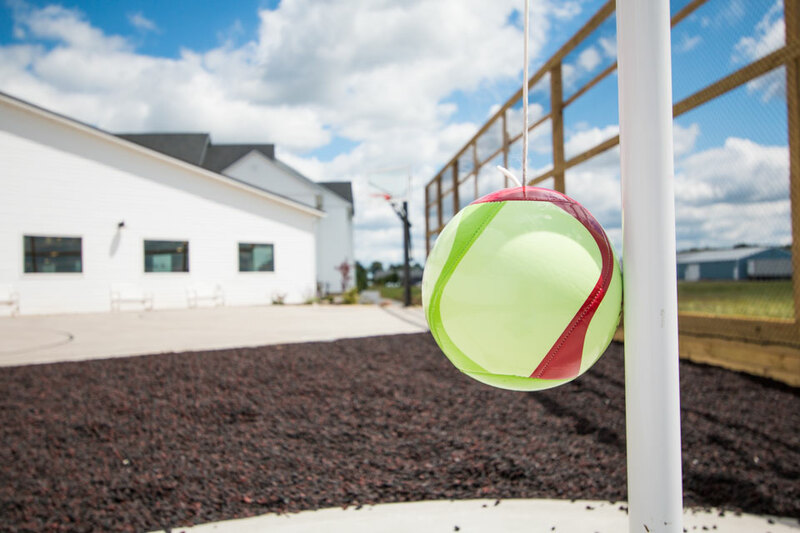 Looking for a little excitment for the kids, or kid at heart? 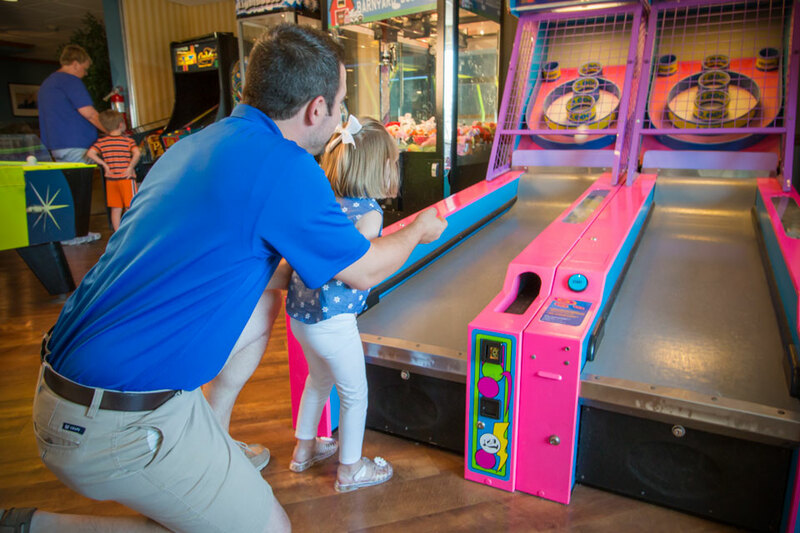 Visit our on property arcade for a great time. Most games are only .25 per play, and there is a great selection of favorites. 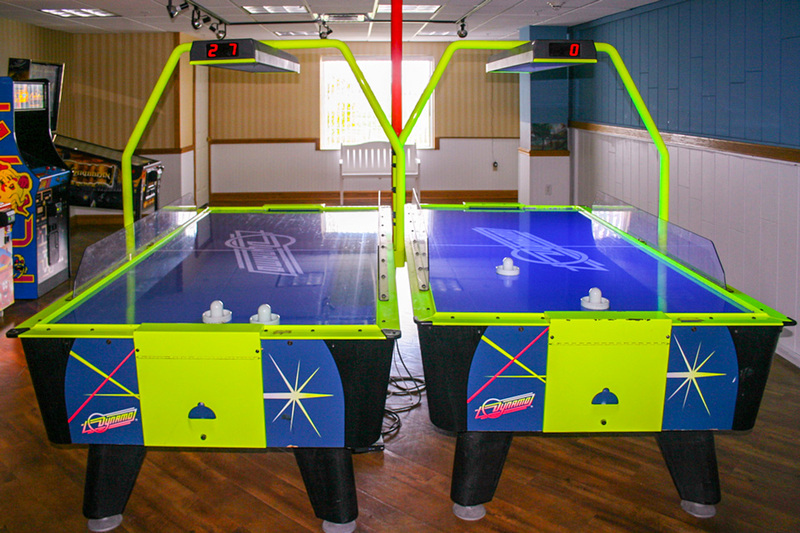 Enjoy air hockey, skeeball, pinball, classic arcade games and more! NEW! 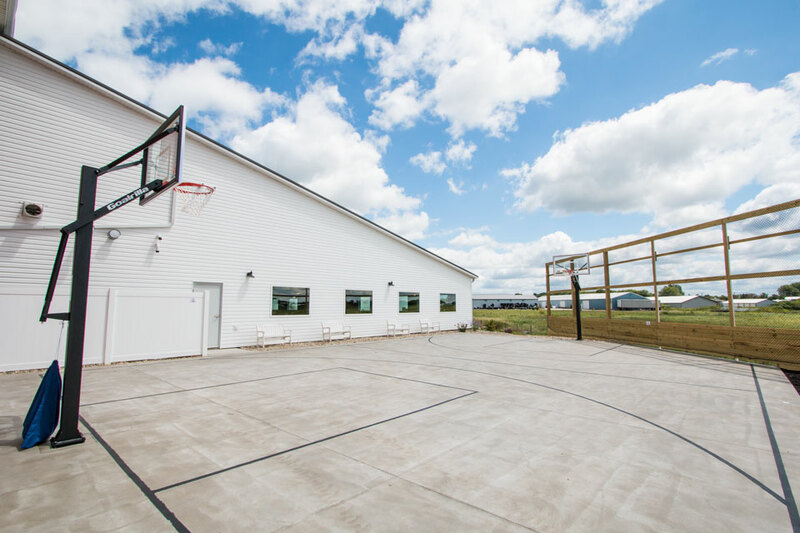 Enjoy a little outdoor recreation at the new basketball court. 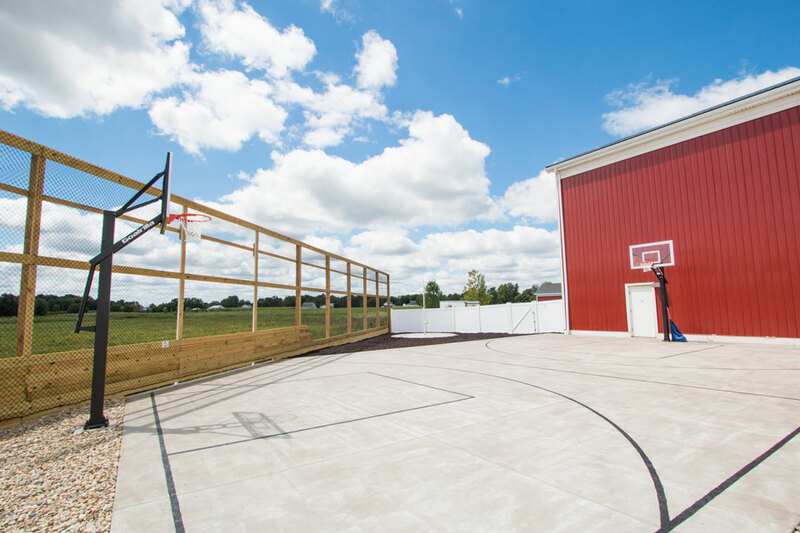 One of America's favorite pasttimes, get the family together and shoot some hoops! 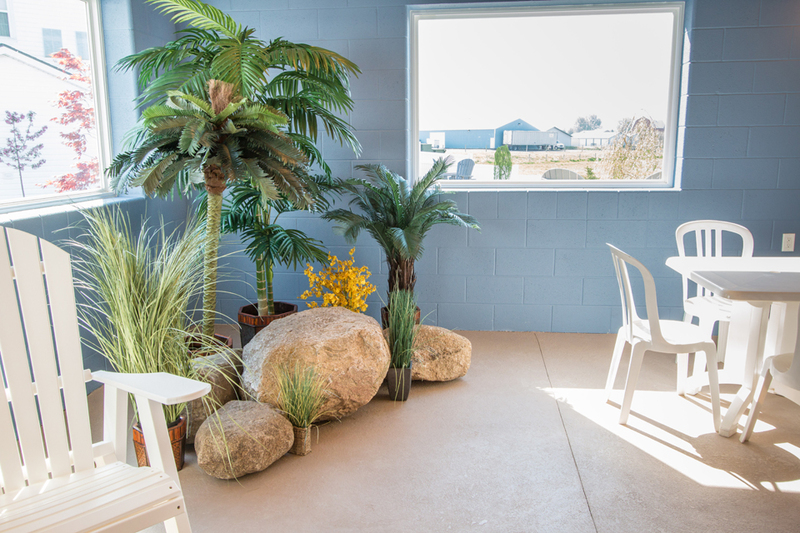 Located adjacent to the Patio and Pool areas. 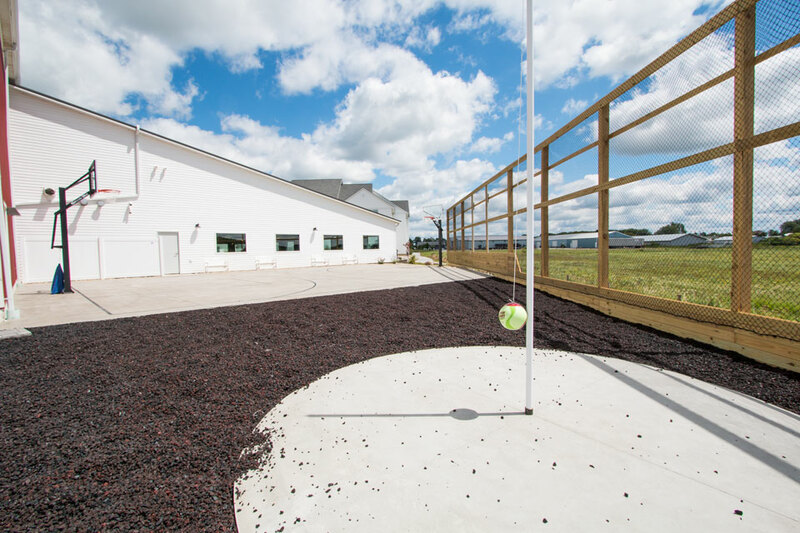 Also available is a teatherball court, always a ton of fun!